LAGO DI GARDA. I’ve been spending the last two days in paradise, also known as Lago di Garda. I’ve never experienced a more beautiful and serene place in my entire life. There’s something so special about falling asleep under an olive tree to the sound of waves. I honestly don’t feel like ever leaving this place! Found this amazing little Romanesque church next to the house we are staying at that kind of made the perfect scenery for the black/white outfit I was wearing last night when we went out to dinner. 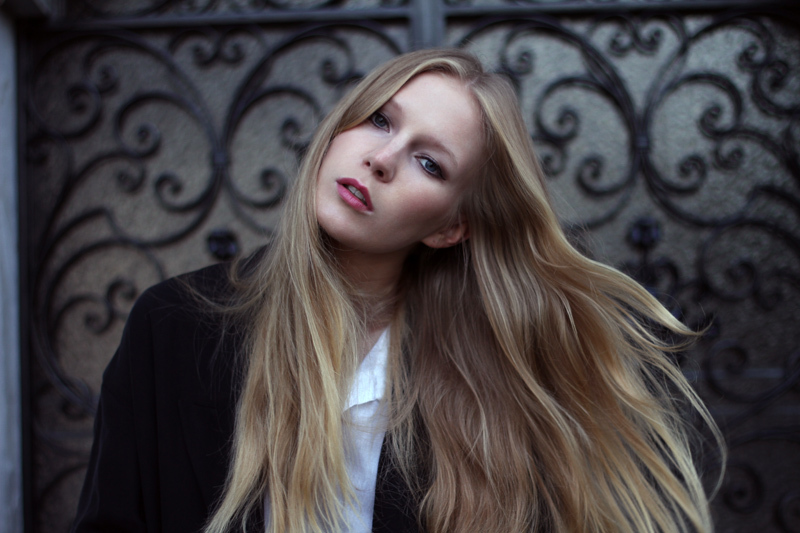 So much pasta, so little time, and I’m enjoying every second of it..
Zara jacket. Gina Tricot Shirt. Bik Bok Jeans. Michael Kors watch. Zara shoes & bag. 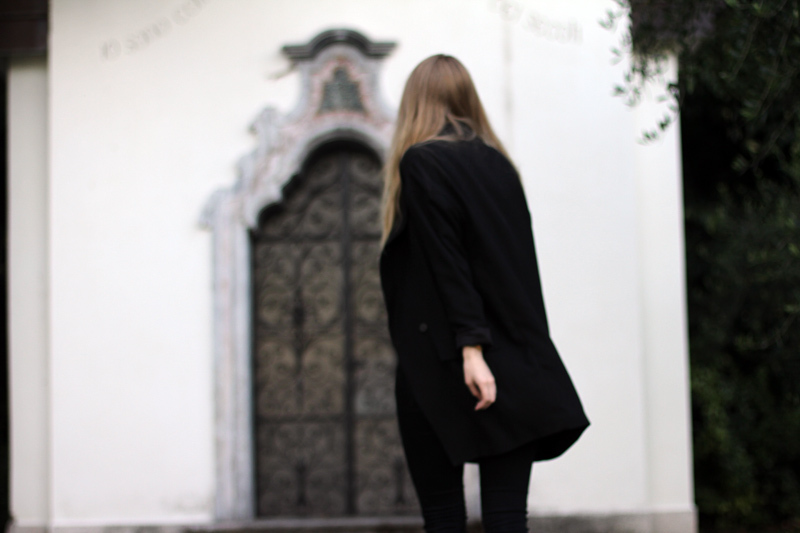 I love your new silver Zara shoes – hope you are having a blast at Lago di Garda! OMG, I love your shoes! They’re amazing, just like the rest of the outfit! super magnificent outfit :) you are so special, when it comes to outfits! Love it! THe New shoes suit you so well! Sounds like a heavenly place. I love the little pop of silver with the black ensemble. These shoes are just to die for! !Love them!! The shoes look like they hurt, is it? Otherwise I love this outfit. One of my favorite with the white suit! How much did you pay for the Zara heels? I’m so in love with your metallic shoes! You make black + white look so chic! And instantly coveted your new metallic d’orsay heels and that feline print clutch. Mi piace moltissimo questo look!! Those shoes are to die for!!!! Lago di Garda is amazing, you should go to Sirmione and Desenzano, both beautiful cities by the lake. INCREDIBLE photos. I absolutely love them, this architecture is amazing. so is your clutch! You look stunning, as always. What is the name of the place where you are? I wish you a nice evening. Love love all your Zara pieces, I feel like I never get lucky with Zara, everything I want is always sold out. The heels esp, im speechless. You look great. great outfit love the clutch! The clutch is Gorgeuos and a half!! really really love those shoes! cant believe there from zara they look more expensive ! also love your clutch! Great background for the pictures, works perfectly with the look. Absolutely LOVE LOVE LOVE those heels!! love your simple but chic style. 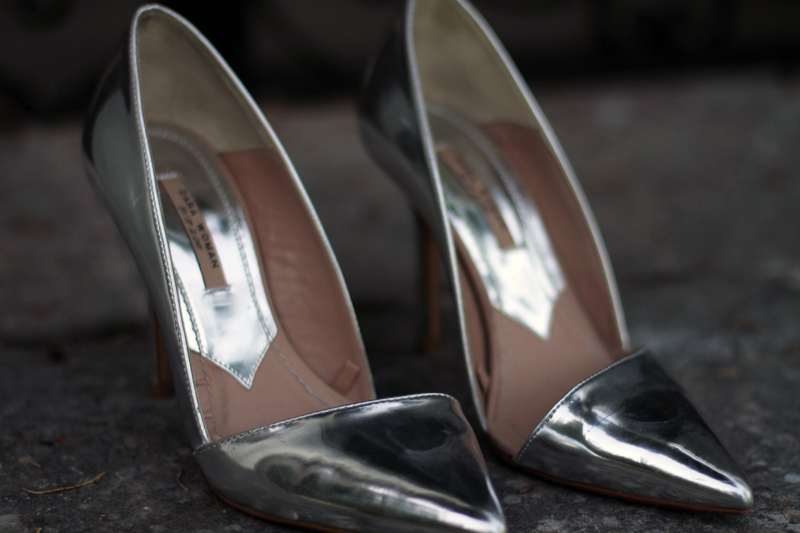 Your wearing your metallic shoes – they look so great with that outfit! I also love those pants. They’re very chic and look comfortable. http://www.theionfashion.com – Feel free to stop by! Vilka läckra skor:) Och ditt hår sen, gudars vad fint! AWESOME!! Love your outfit and that church is amazing!! Those doors – I LOVE!! Thanks for sharing! The shoes look great on! Zara shoes been put to good use. Love the monochrome look. Such a classic and chic look! Love it. The shoes are beautiful and your look is very chic! I adore this. Great shoes especially with this kind of Look nice Choice ! your blog is fascinating and i am incredibly jealous of your style and your life! you prove that glamour and stilish look is still possible without using designer shoes and it bags. Love the heels and watch! ooh you make the silver heels look soo classy! 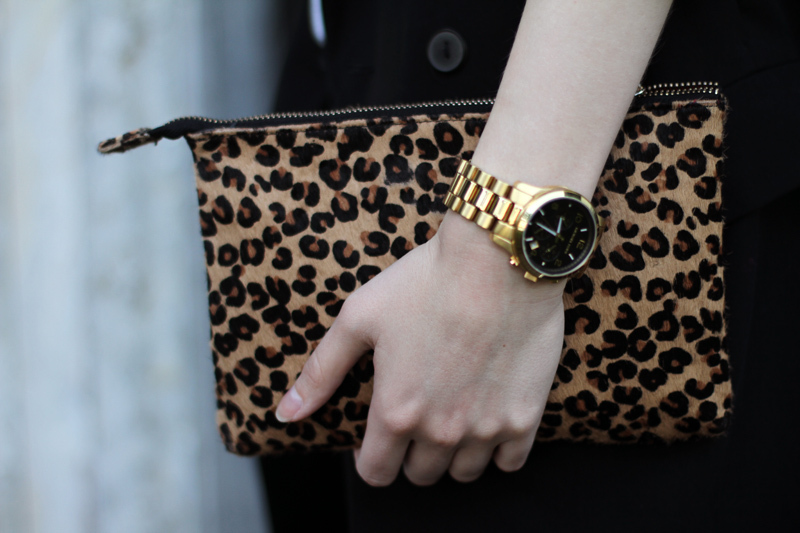 love the leopard clutch too! I want your bag! You’re drop dead gorgeous by the way. Your hair is sooooo beautiful…. Amazing photos! These shoes are perfect!!!! I’ve been there a few times myself and Lago di Garda really is Beautiful !! Gorgeous!I really love your style. The silver shoes are perfection and I adore your clutch! have fun in your vacation!! Man, those shoes are fantastic. Love them! I’ve got the black and white ones, but I have yet to see the silver. Awesome! I feel a deep, deep love for your shows!